As we all know that Facebook is one of the latest social networking site. These social networking sites like Twitter, Facebook, LinkedIn are changes their features time to time. Lets focus on this article, we are here to talk about the world's largest website that is "Facebook". Yes! 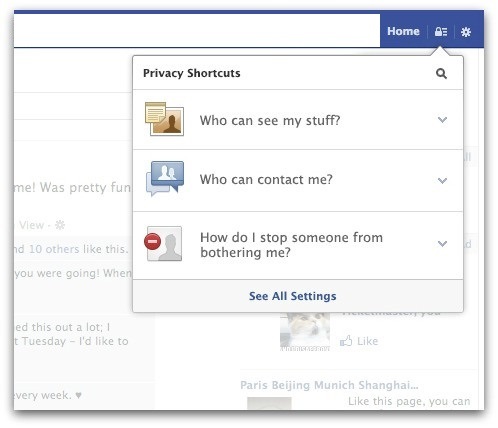 as we see Facebook introduce some buttons which named as shortcuts for privacy. 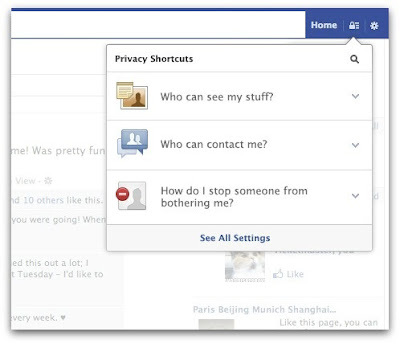 Now you can control your Facebook Profile Privacy directly from Facebook Home Page. These buttons are their to making Your Settings Easier to Find and Use. Below we are discussing about these shortcuts buttons. 1) Who can see my stuff? Where can I review all my posts and things I'm tagged in? 2) Who can contact me? Who can send me friend request? You can block someone or also unfriend someone. And also you can view your all blocked users. There is also a new setting in the "How can I manage tags people add and tagging suggestions" section of the timeline and tagging page, and it controls what happens when you're tagged in someone else's post. This setting defaults to Friends. That means when you are tagged in a post, you and your friend can see this picture and post. All these latest development in this has been initiated by Facebook, which now has introduced a shortcut to the privacy settings available on the home panel, adjacent to the Home key. 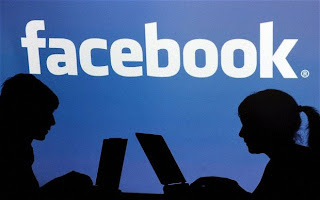 With the help of these settings you can easily do changes on your Facebook profile, without taking too much headache you can easily set your privacy by just one click.